We are proud to announce that Sara Soseman, President of Department Zero, has been named as the American Advertising Federation of Kansas City's Member of the Year 2013. Each year, members of the AAF-KC are nominated for their actions to drive the organization forward through advocacy, volunteer efforts and event planning and participation. The 700+ members of the AAF-KC vote for their selection, and the winner is announced at the annual ADDY Awards Gala Event, held in February. Sara Soseman (@soseman) has been part of the KC ad community since 1999 and is a 12 year veteran of the AAF. She has championed the organization’s educational efforts, speaking during events, panels, and rallying co-workers, friends and those new to the ad scene to join. 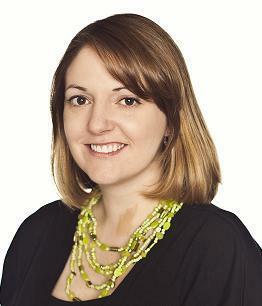 Since her election to the AAF-KC board in 2010, Sara has established the club’s first social media strategy, curated site content, and spearheaded the relocation of the club to the current office. As the current VP of Membership, Sara and her committee recently rolled out a comprehensive change to the corporate membership structure, enabling all corporate agency members’ employees to participate with the organization. Her commitment to the AAF and Kansas City are superseded only by her devotion to brand activation agency Department Zero and her family. And for the winner...A BRAND NEW CAR!